This gorgeous necklace is the perfect way to add understated glamour to any outfit, being both elegant and feminine, as well as easy to wear. 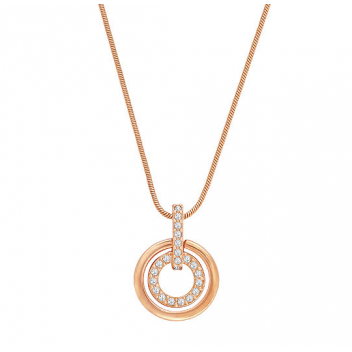 The circular shape represents infinity, whilst the rose gold plate is warm and joyful. We love the clear crystal pave that shines and shimmers as it catches the light.